Girl Charlee Fabrics UK & Europe: Knitriffic Sewing Blogs: Scruffy Badger Time/Winnie Longhurst, plus New Fabrics! 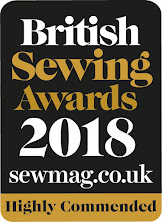 Knitriffic Sewing Blogs: Scruffy Badger Time/Winnie Longhurst, plus New Fabrics! 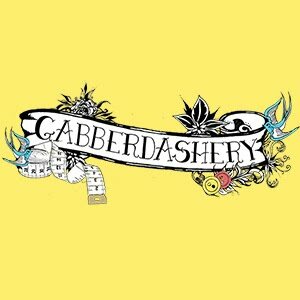 This month we are proud to feature the blog Scruffy Badger Time and the lovely (& not at all scruffy!) Winnie Longhurst. I’ve been sewing since I was a girl, and was taught to sew by my Mum who is still my sewing guru. She was taught by her Mum and I love hearing stories about how she used to watch her mother and aunts whip up dresses for Friday’s dance (nothing changes!) I love that intense pressure of a last minute make for a particular occasion! I’ve just moved house to an eighteenth century cottage in a village just outside of Bath and am loving seeing spring start to arrive. When I moved here it was deepest winter - dark, windy and wet! I share my cottage with my 12 year old cat Merlin who has long white fur. In my old house he was a catflap cat and I hardly saw him, but we are creating a new relationship in my cottage (no catflap) and he’s become much more friendly, but his hair is everywhere! He does leave me alone in my sewing room however, he's not an ironing board dozer! I have two grown up sons (who love the shirts I make for them!) and I started the blog 5/6 years ago when the boys left home, giving me more time to do the things I enjoyed. Just what that would be at the time was unclear. I had taken art courses, jewellery making but the sewing was something I rekindled and it very quickly took over. The blog started as being a way to record how I spent my ‘me’ time, little did I realise it would become so much more. I made so many new friends who could also geek out about sewing for hours on end! 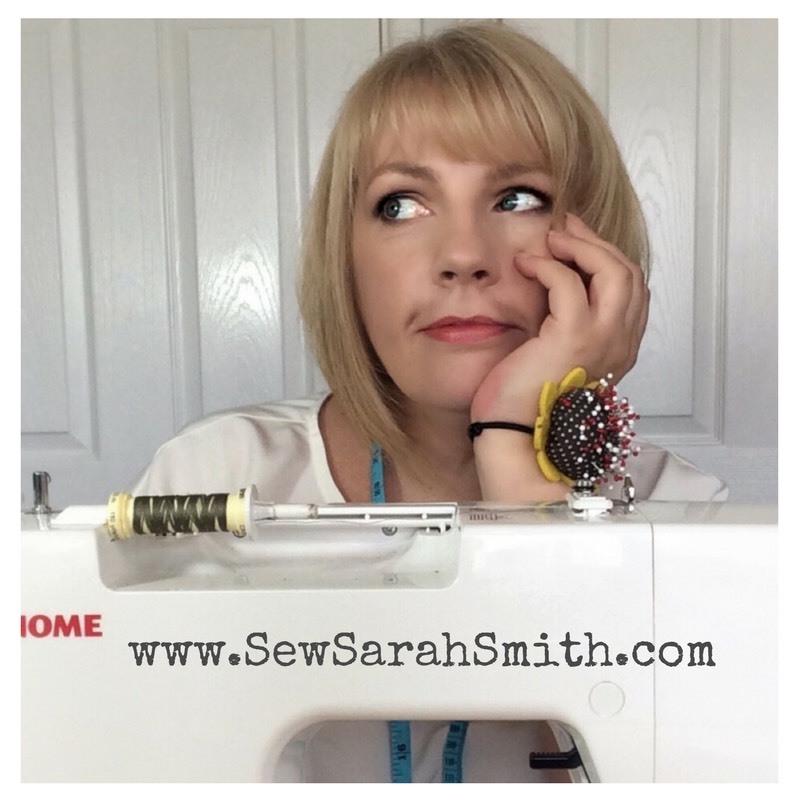 The online sewing community is a great thing, not just full of amazing like minded people, it brings inspiration (temptation too!) and ways to build and share knowledge. It’s a very generous place and I’ve learnt a lot! Aha! Well, I started to go grey in my 20s and have some comedians in my family who called me ‘Badger’ which I liked. Coming up with a name for my blog had to reflect the fact I don’t take myself too seriously and like to laugh at myself – what better than a scruffy badger to bring a smile? I love making practically all the clothes I wear. I now only buy underwear and the occasional piece of knitwear. I love that I can make anything to fulfill a new need. When I recently temped in a warehouse I made a few Linden sweatshirts as they were perfect for the kind of work I was doing. My corporate office wear is not getting worn at the moment and I am thinking about what I need to make for my new job, and of course I make leggings/tops for running too! I don’t make lots of long term plans, but for my blog I just want to to keep it going until it loses it's interest! 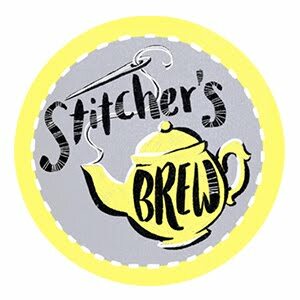 I still get a buzz out of connecting with other sewsters and I'm humbled that anyone is interested in what I make and write! 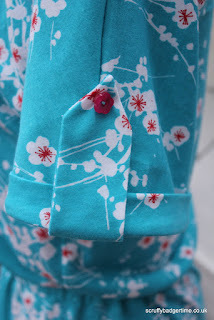 I blog for pleasure but sometimes there aren’t enough hours in the day to sew and blog. 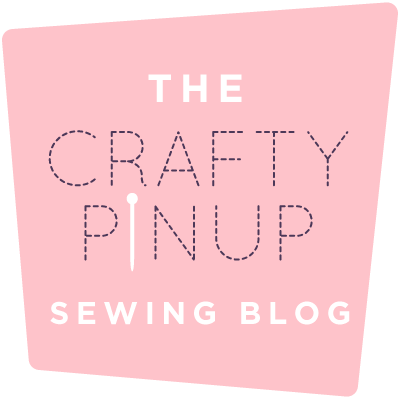 I get behind with blogging about everything I sew because the sewing usually wins (I am rather obsessed!) Career plans are being realised, having taken the opportunity that redundancy from my local government job has given me to reshape my work/life balance (I'm now working a part time office job with a local company). Thanks to Winnie for her time and her amazing blog, if you haven't done so already, be sure to visit Scruffy Badger Time now! 1. A beautiful lightweight ethnic patchwork style Cotton Jersey blend in teal green, blue, pink, yellow and more! 2. A new colour way for our popular diamond squares Cotton Spandex, this time in classic black and white. 3. A stylish floral Cotton Jersey with plum/burgandy/gray roses on a neutral taupe. 4. 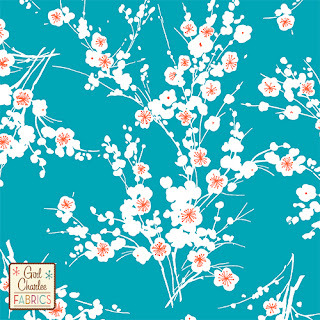 A bright and summery diamond flower design in red, coral blue and navy on a white Cotton Spandex blend.